There are several document elements that you can use in multiple Microsoft Office products, and one of those elements is the text box. 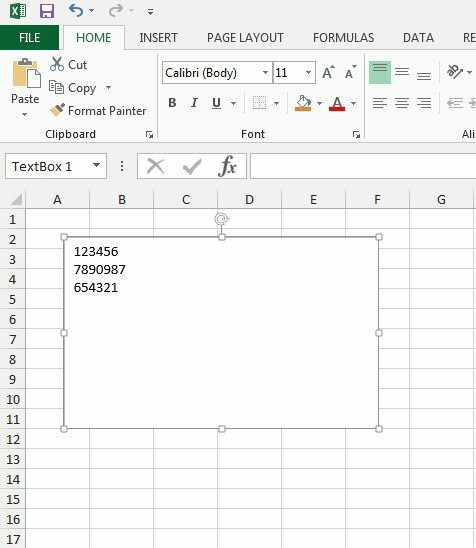 You can insert a text box independently of the other information in your Excel spreadsheet, which allows it to be used in a manner that does not affect the data that has been entered directly into a cell. But there are some limitations to the way that text boxes can interact with your spreadsheet, and you may find that you no longer need a text box that you have created. But deleting a text box can be a little more challenging than deleting other types of data in Excel, so we will show you how to do it in the guide below. The steps in this article were performed in Microsoft Excel 2013. However, these same steps will work for other versions of Excel as well. Note that we will be deleting a text box in these steps, which is a special element in an Excel spreadsheet that exists on a level above the actual worksheet. Deleting the text box will not delete any cells in the worksheet, even if those cells have been resized so that the text box appears to be contained within a cell. Open the Excel worksheet containing the text box that you wish to delete. Locate the text box in the spreadsheet. Step 3: Click the border of the text box so that the controls are visible along the perimeter of the text box. Step 4: Press the Delete or Backspace key on your keyboard to remove the text box from the worksheet. The text box should now be completely gone from the worksheet. Are you having difficulty printing your entire spreadsheet in Excel? There are many different settings that control the way files print in Excel 2013, but one common source of frustration is print areas. 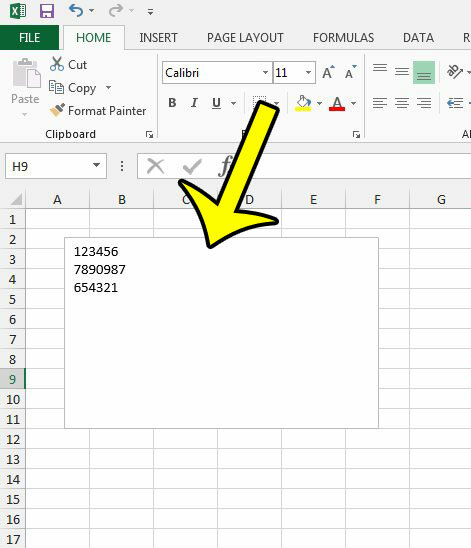 Learn how to clear a print area in Excel 2013 so that the entire spreadsheet will print. What Does Hide Alerts Mean for a Text Message on My iPhone?